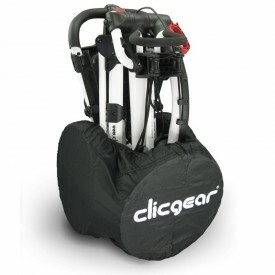 Clicgear 3.5+ Golf Trolley - Now available. They have done it again. Always improving Clicgear strives to produce the best push carts in the industry. Introducing the new 3.5 Push Cart. This updated version of the popular Clicgear trolley is also available in six new colours. The previous version of this trolley was really popular with our customers with positive feedback all-round. This New Version has undergone some major improvements based on customer feedback and has new updated features including: The new improved cart features a new braking system, larger storage net, larger cup holder and they have also lengthened the bag straps to keep your golf bag firmly in place. Please Note: Pictures are for reference only as bag plate is same colour as frame.